Book now at Ira Hotel & Spa Hotel! Book directly from the Ira Hotel website and enjoy more! You know that booking directly from a hotel website can save you money and even better you can enjoy some added values that are available only through the Ira Hotel & Spa website at www.ira-hotel.com. We have to mention that on our homepage there is a button especially for those who want to book directly from the Ira hotel’s website which is the easiest way to do so. 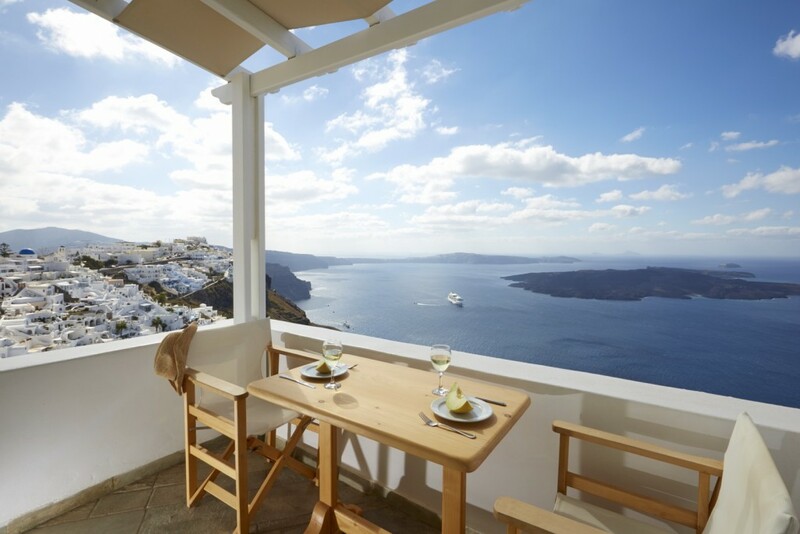 Browse the pages with the accommodation suggestions like the cave rooms and caldera view rooms and suites for more photos and then just click on the Book online button to book quick and easy your Santorini accommodation. In addition, now people who will book via our website can enjoy some extra services and facilities use those other clients have to order with surcharge. First of all you will enjoy a signature welcome drink made just for you. More importantly though only the guests that book through www.ira-hotel.com can enjoy 30’ free use of Ira Spa’s jacuzzi and hammam. The only thing that you have to do is address to the reception and arrange your appointment to relax and have some lovely moments of your holidays in Santorini. Now attention honeymooners and everyone who will go for the top accommodation choices of Ira Hotel & Spa in Firostefani you have to know that for the Exclusive Caldera View Suite tenants there is a welcome bottle of Moet & Chandon champagne, where for the Honeymoon Caldera View Suite a bottle of Sparkling Wine will be waiting to uncork and cheer to your choice to book via the Ira Hotel & Spa website at www.ira-hotel.com. Well, we don’t think that there is any reason to lose these opportunities of enjoying more from your holidays in Santorini rather than click on www.ira-hotel.com and book now your suite with the added values available for direct bookings from the Ira Hotel website.